I don’t think anyone likes having dry skin. I know I don’t! 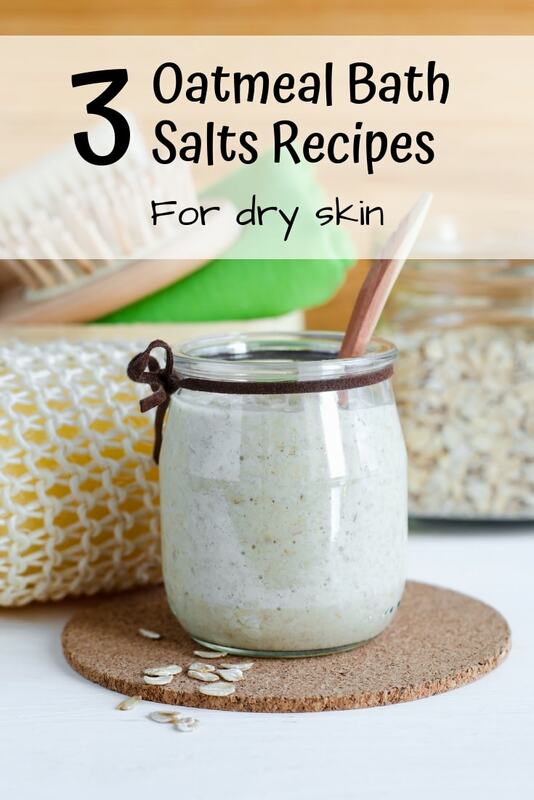 It seems like dry skin can strike at any time of year. 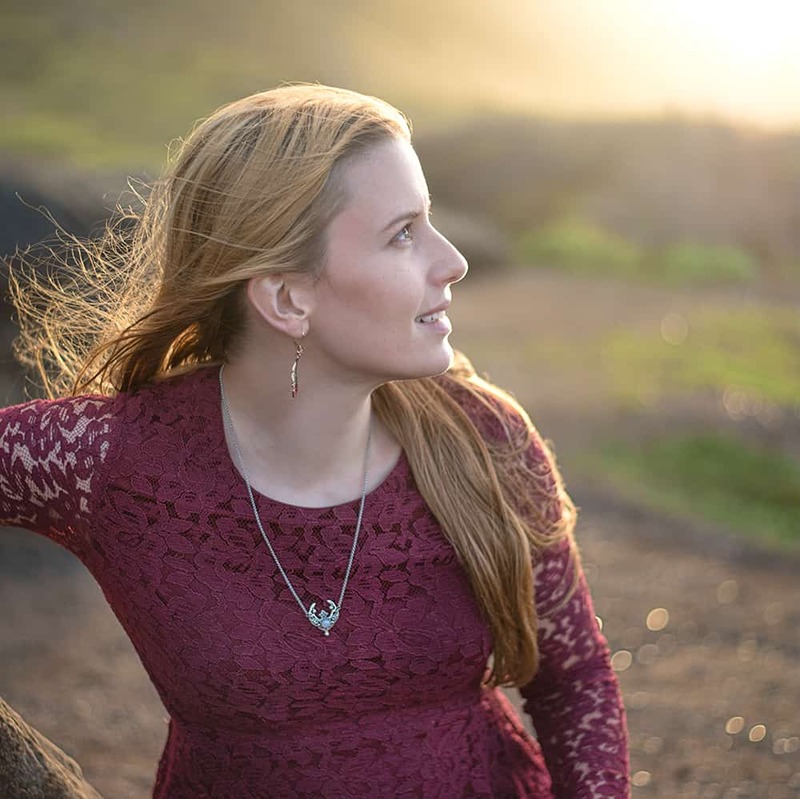 Winter dry skin is famous, but being in air conditioning all the time or getting a bit too much sun can give you dry skin in the summer, too! 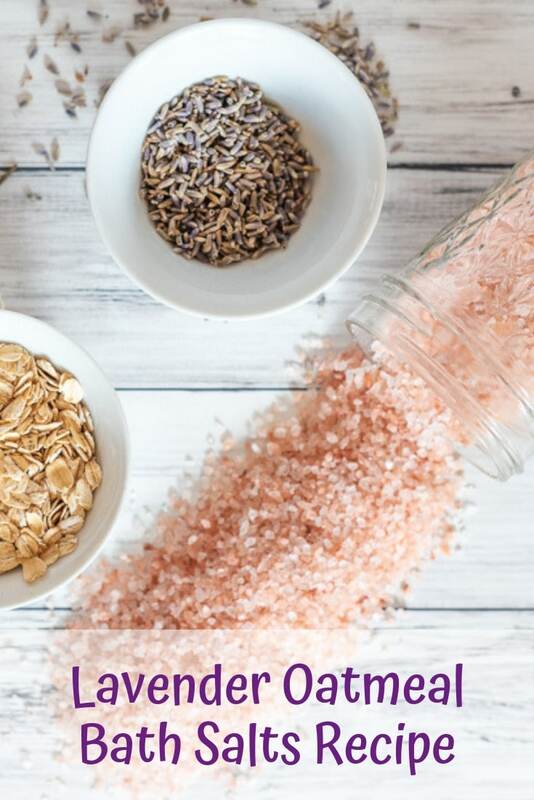 No matter why you have dry skin, these nourishing oatmeal bath salts recipes can soothe and hydrate your body! 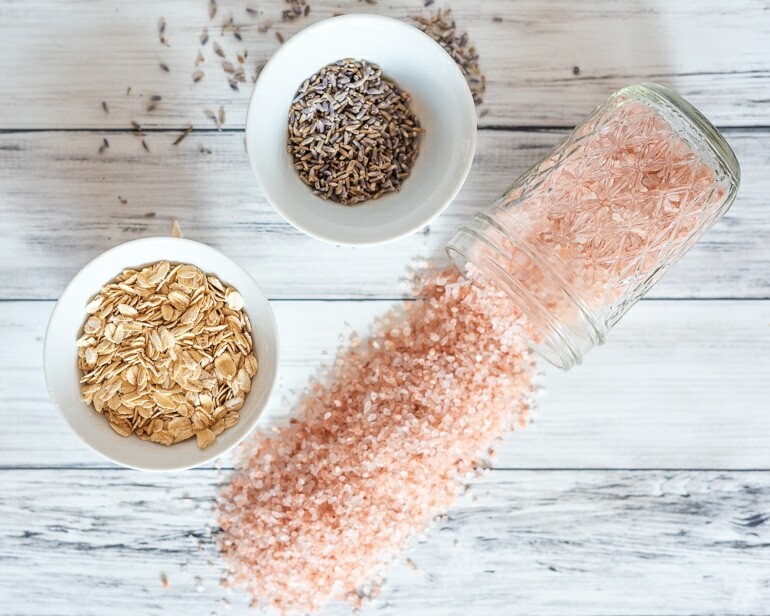 I’m sharing three oatmeal bath soak/bath salts recipes so you can pick whichever best suits your needs. They all make 1 pint of soak, so grab a clean mason jar and get ready to feel better! Why put oatmeal in your bath? 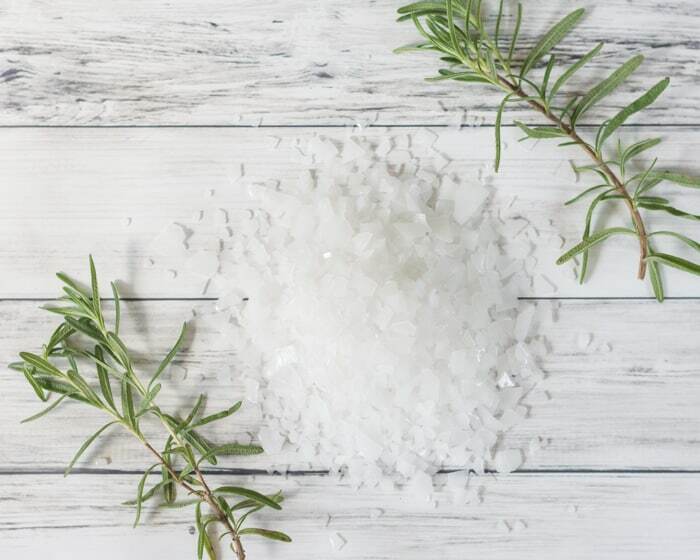 How you use your bath soak is up to you! You can use as much as the entire jar in one bath if you really want, but I recommend using 1/2 – 1 cup of bath soak mixture at a time. 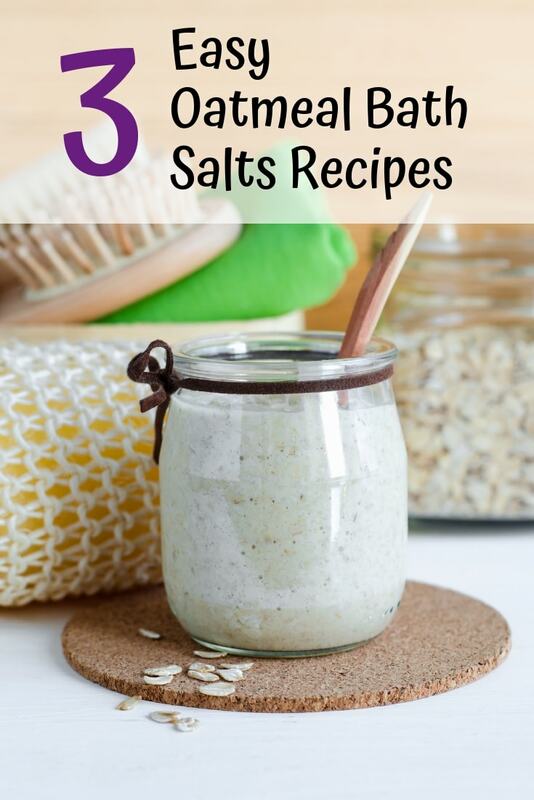 You can also use bath salts as a foot soak. Even though the water quantity is far less, I still like to use at least 1/2 a cup of soak. Feet are always so dry that they can use the extra love! Oatmeal has been used since ancient times to soothe and hydrate skin. It’s popular in many lotions, soaps, and other body care products. 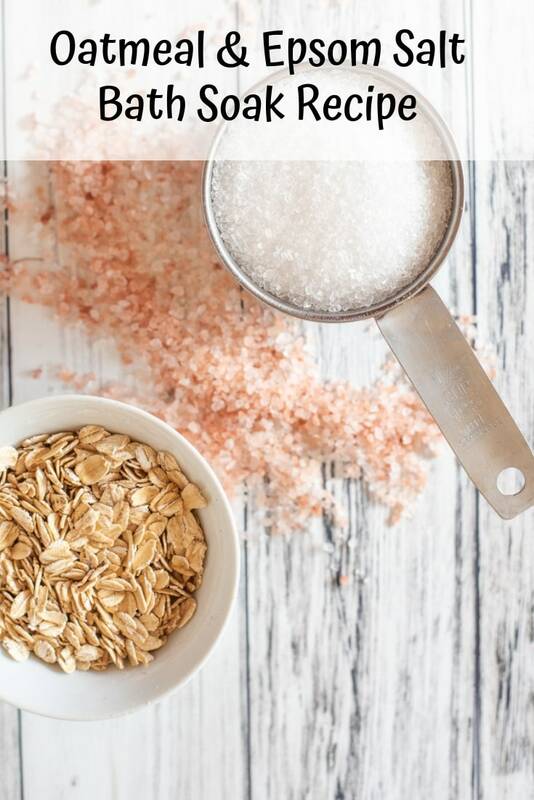 When you look at DIY beauty product recipes containing oatmeal, you’ll frequently see the ingredient list call for colloidal oatmeal. So what are colloidal oats? Technically it’s when oatmeal has been finely ground and suspended in liquid, but people frequently use it to mean ground oats. You can buy super finely ground ‘colloidal oats,’ or you can just grind your own oatmeal! 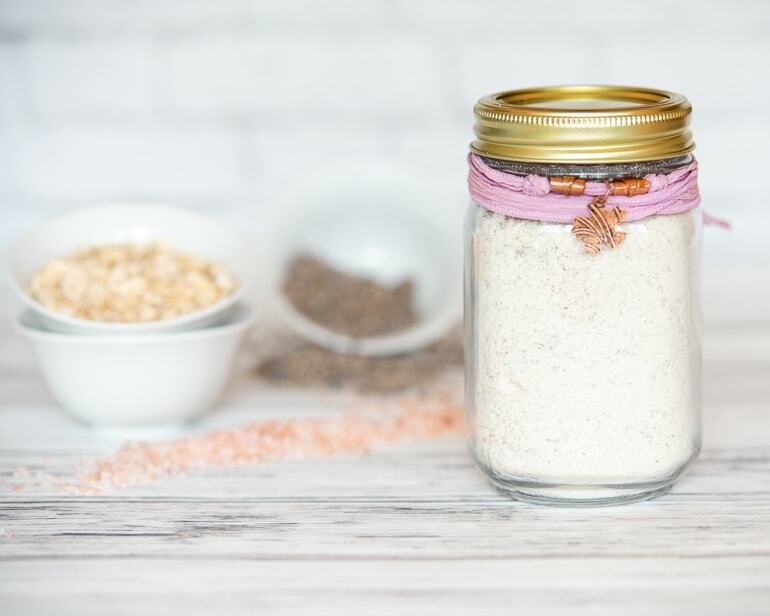 Using ground oatmeal, or colloidal oatmeal, enhances its ability to coat and nourish your skin, plus it makes a lot less of a mess in your bathtub! If you absolutely can’t find a way to ground your oats (or don’t want to for some reason), put your bath soak in a large clean sock and tie it off to make a giant tea bag. 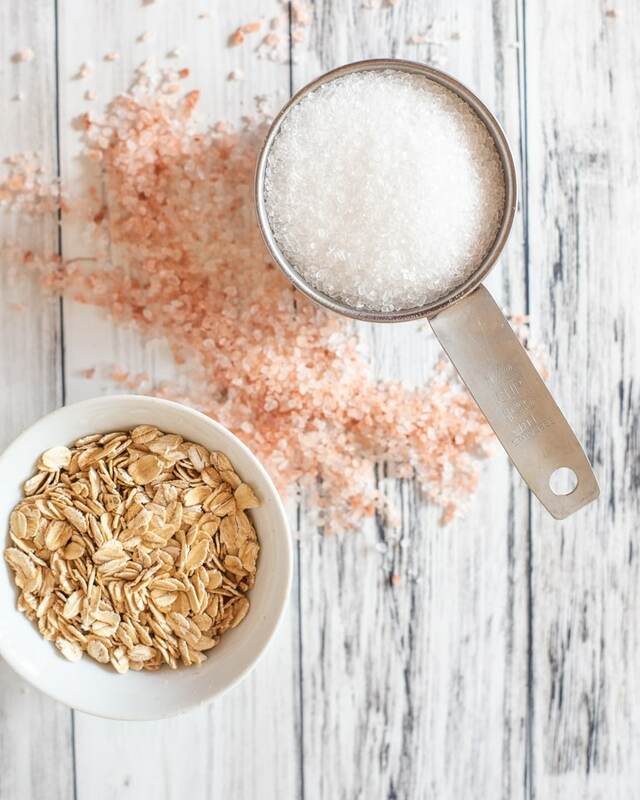 This oatmeal bath with epsom salt is so great for dry skim! I always make sure I’m using culinary grade lavender buds, not lavender for crafting, to ensure it hasn’t been treated with chemicals. If you’re using whole oats, grind them in a food processor, blender, or even a clean coffee grinder. 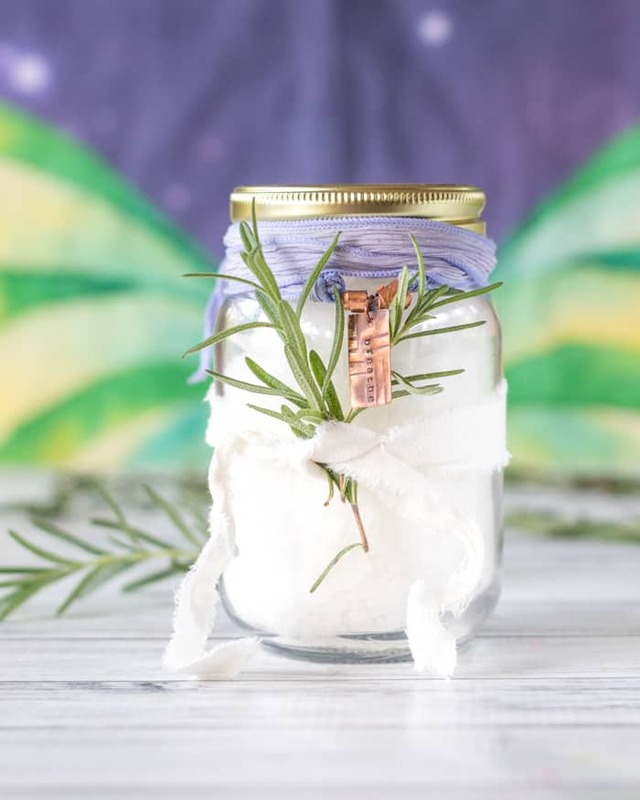 Transfer the bath soak mixture to a clean pint glass jar and you’re ready to go! I also like to add just a little extra salt and lavender on top to make it extra pretty. Pro tip: Use a sheet of printer paper as a ‘funnel’ to make transferring the bath salts super easy! I love giving bath soaks as gifts. 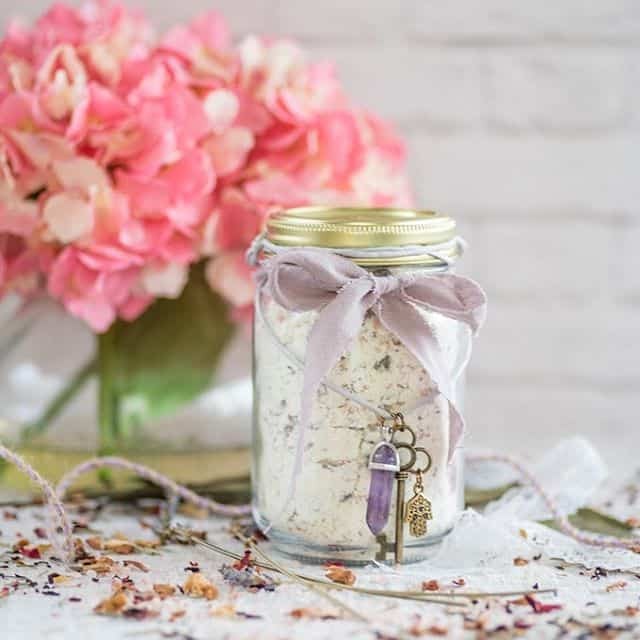 I frequently tie a handmade wrap bracelet or necklace around the jar as a little ‘something extra’ to make the present super special! If you enjoy nurturing your body, you’ll enjoy nurturing your spirit, too. I hope you decide to join the Daily Gratitude Challenge and grab a free printable (coloring book) gratitude journal by becoming an Artisan Life member! Eucalyptus essential oil is so fantastic for easing soreness after a long day, lifting your spirits, and clearing your airways! I highly recommend using magnesium flakes for a better soak for sore muscles. 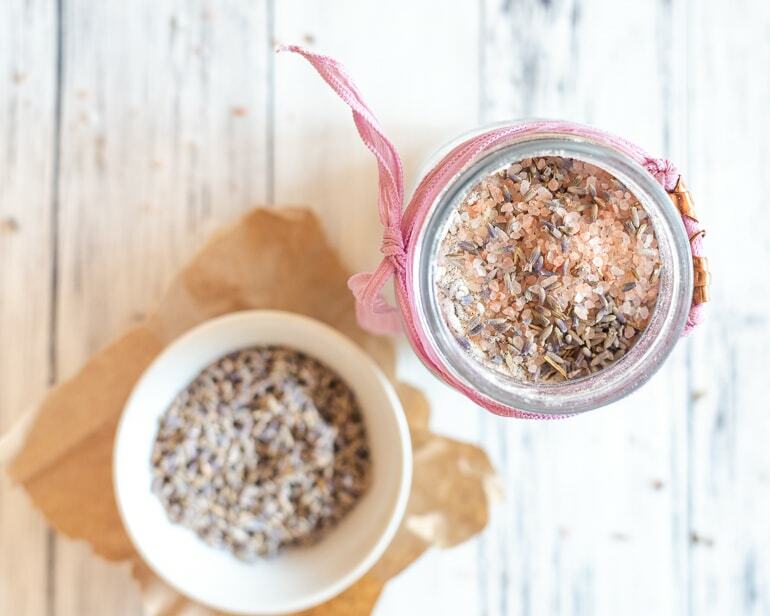 The magnesium is more easily available to your body (=more beneficial to you) and you can use them for more items like homemade magnesium oil, body butter, and more. Grind your oatmeal, if necessary. Combine ingredients in a bowl, then transfer to a pint jar! 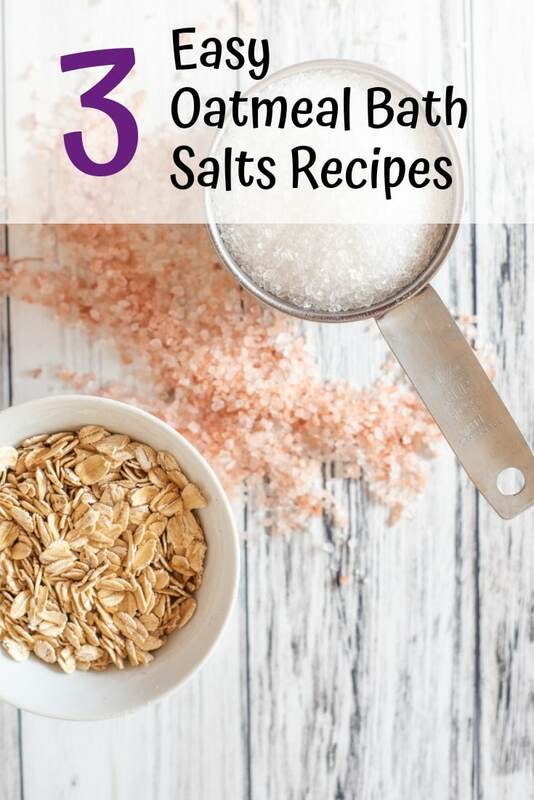 If you like these oatmeal bath salts recipes, save them to your favorite Pinterest board so you don’t lose track of them! 10 drops lavender essential oil + 5 drops frankincense essential oil -or- Your preferred quantity or type of essential oil or botanicals. Finely ground your oatmeal, if you’re using whole oats. Place all dry ingredients in a bowl, then add essential oils. Mix to combine, then transfer to a clean pint glass jar. 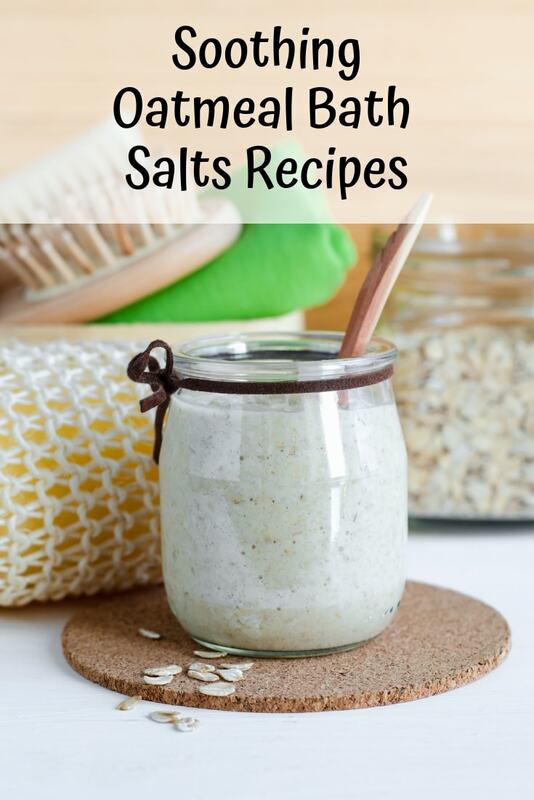 I hope you’ve enjoyed learning how to make oatmeal bath salts! 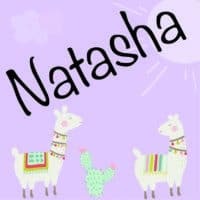 Please let me know if there are more DIY body care products you’d like to see recipes for in the future!